This Rose antique umbrella makes a wonderful gift for someone you care about – or alternatively, why not just treat yourself? Elegant, subtle and gentle. 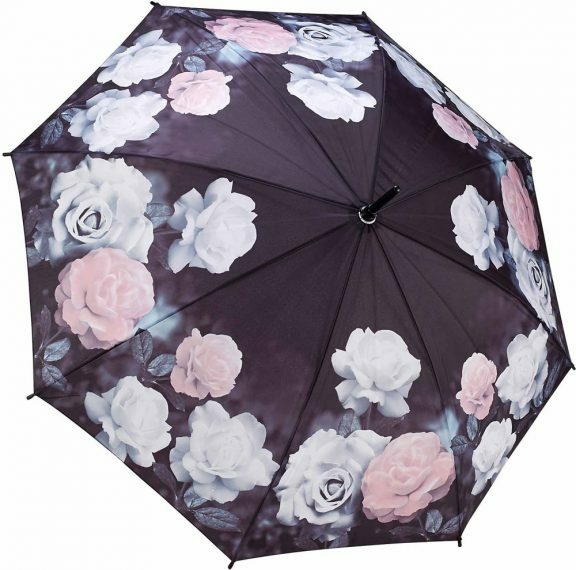 These brand new Rose ladies fashion umbrellas are perfect to cheer up those gloomy days and dark nights. 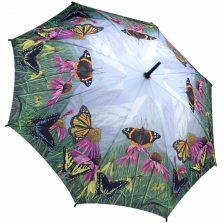 This beautiful ladies antique umbrella is sure to lift your spirits. 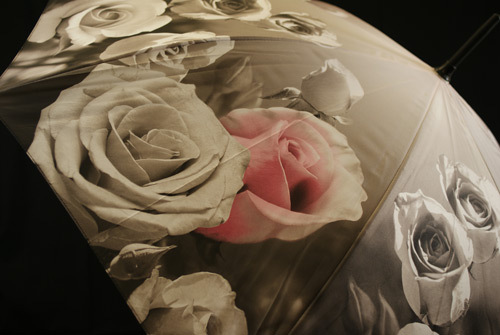 Also, the Antique Rose umbrellas are 35″ (89 cm) long and measure 41″ (105cm) across its impressive canopy. 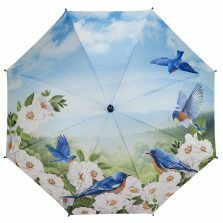 Also featuring a gorgeous rose design print on its canopy. Lacquered matt black stem and handle. Makes a great present for someone special. 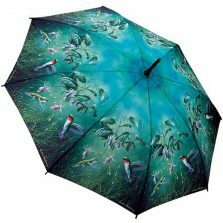 Not the right brolly for you? 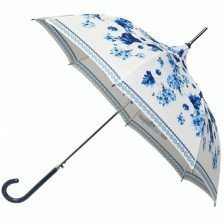 Check out the rest of our range of quality vintage umbrellas!